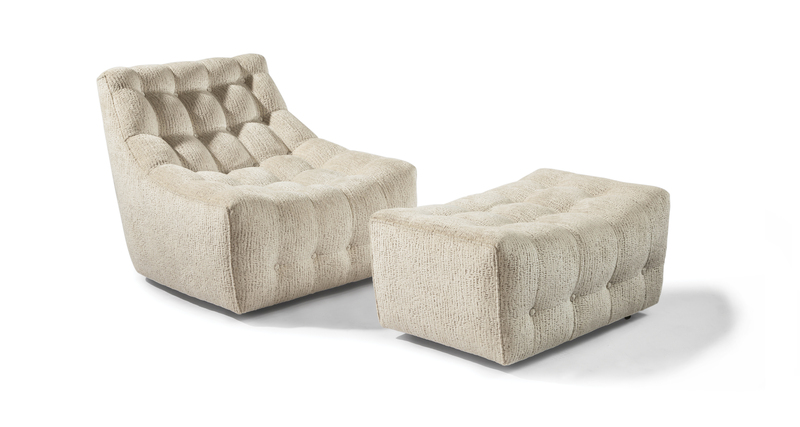 Designed by Milo Baughman in 1967, our Tommy Tufted lounge chair is a modern classic. Featuring scooped seating and an artful frame that boasts no straight lines, our Tommy Tufted provides an alluringly soft seating experience. Tommy Tufted comes standard with casters. Choose from any of our in-house fabrics or leathers or provide COM for upholstery.